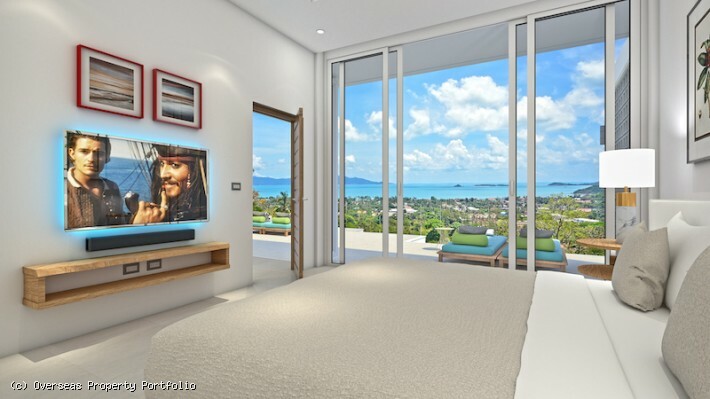 Nestled on a gentle picturesque hillside above the cosmopolitan Fisherman’s Village in Bophut, these contemporary Koh Samui villas for sale enjoy amazing views to the sea and the neighbouring island of Koh Phangan. Set in a small and quiet development, the villas are situated cascade way, allowing all properties to enjoy unobstructed views. 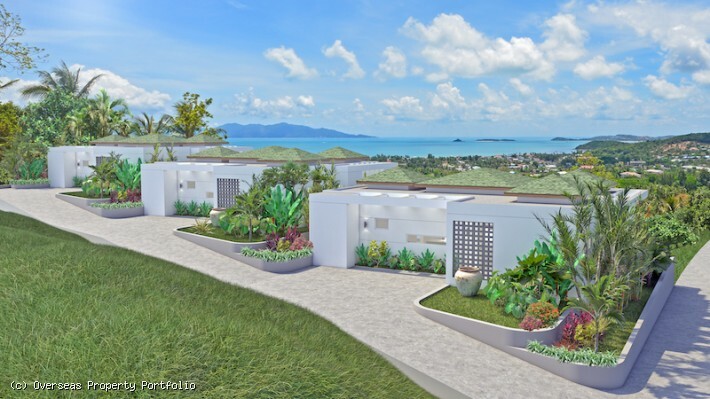 The Koh Samui properties for sale benefit of no monthly community fees and are not far from the ring road, so easy access to all amenities. 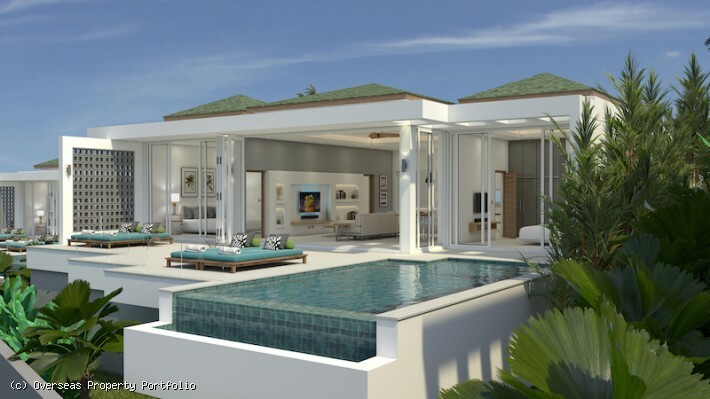 Each of these Koh Samui properties for sale is spread across one level and includes a 34 sqm infinity edge swimming pool and 56 sqm poolside terrace.The spacious open plan living and dining area along with a modern kitchen and a guest wc are in the middle of the villa and open onto the covered terrace and swimming pool. 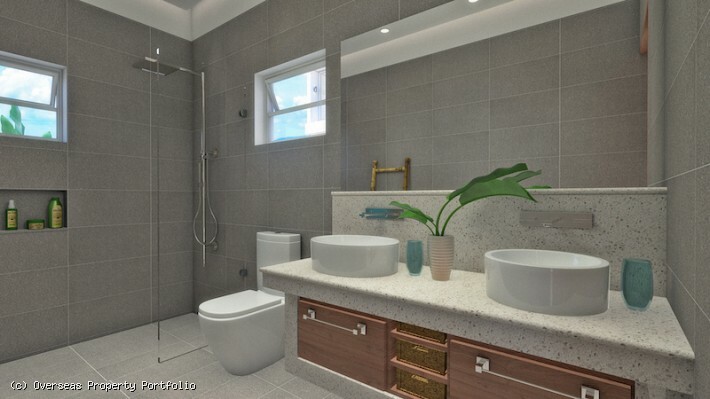 To the right of the living area is a guest bedroom featuring ensuite bathroom. 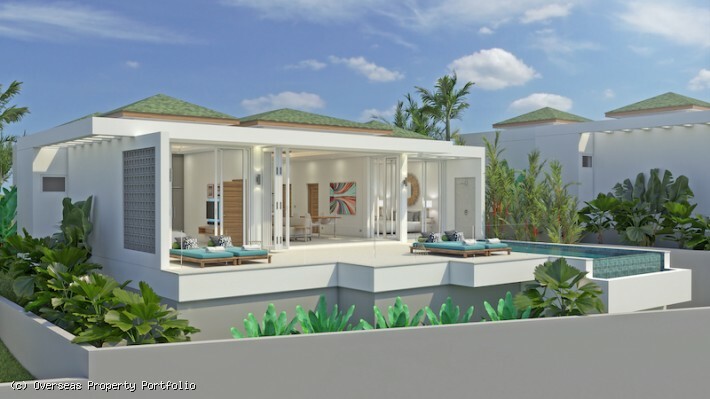 The guest bedroom opens onto the covered terrace and directly to the pool. 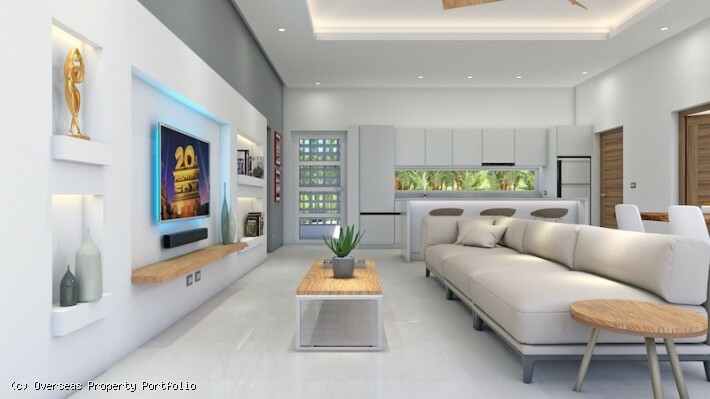 The airy and light ensuite master bedroom is to the left of the living area and conveniently can be accessed either from the main living area or from the pool The third bedroom of the property is to the rear of the villa, has ensuite bathroom and overlooks the surrounding green hills. Floor to ceiling sliding doors and windows throughout the property make indoor and outdoor merge, maximising the space and the views. 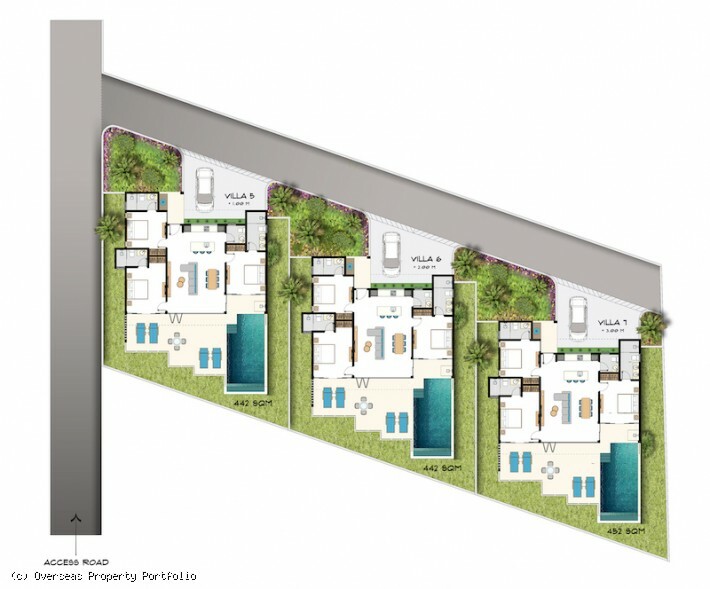 Due to the hillside location the villas enjoy cooling breezes all day long. 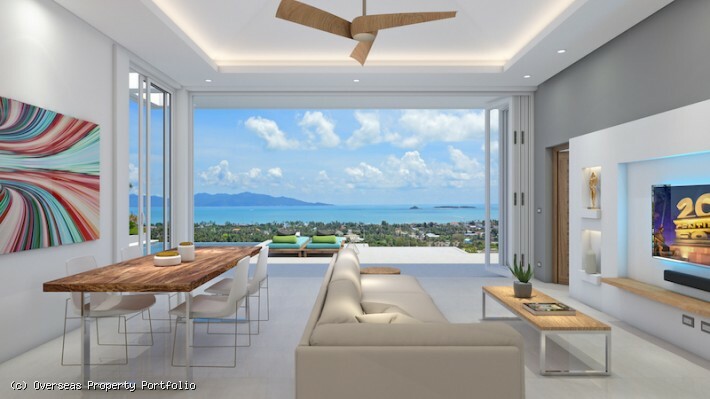 These Koh Samui villas for sale are offered unfurnished but a high quality furniture package is available.